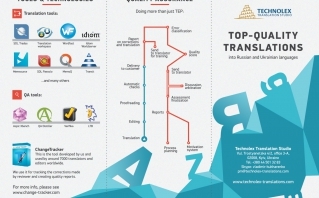 Translationrating.ru has published the second annual rating of the biggest translation companies in Ukraine. 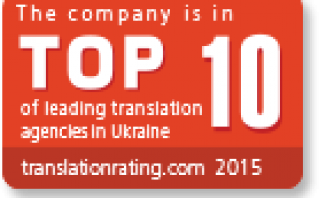 We were rated the 4th among all Ukrainian translation agencies. Several days already have passed after #locworld28 conference. Now we are back, business cards are sorted and notes are deciphered. So, we are ready to share what was the conference about and what was the reason to come there. Thanks to our designers from partner company Evergreen and high-quality printing, made by professionals from Skydeck, — brand new printed booklet has been issued. The booklet was made of the same style that our web-site is. 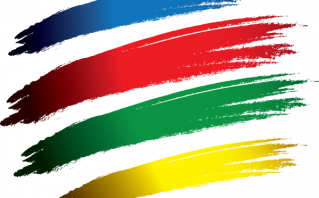 The first thing any translator or translation agency does prior to accepting the order is to evaluate the scope of work and the project deadline. 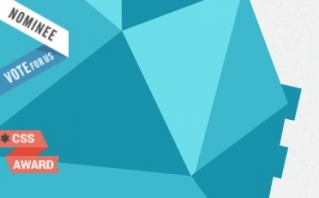 The translation services provider should know the text volume and its complexity to be able to compare it with how fast the translation services provider can make the translation and what the price will be.